With more and more people opting to fly out these days, a road trip in India seems to be a thing of past. But I am definitely one who falls in the category of travelers who love road trips as much as flying around the world. My posts are usually centered on couple travel and how one can stay safe during their road excursions, but this one is a general post wherein I’ll talk about road safety when traveling to Rajasthan. I had to write about this topic as though the drive from Delhi to Rajasthan is totally scenic and the road conditions are excellent, there are a few things that one needs to take care of. Rajasthan makes for a pretty awesome road trip destination, for it is not far from Delhi (my hometown), and is a good 5-hour drive from the city. Being a popular tourist destination, a lot of people plan for a road trip to Rajasthan. However, are you aware, that according to a recent report released by the Ministry of Transport, Rajasthan accounted for almost 4.8% of the total number of accidents that occurred in India in 2015? A year earlier, the tunnel at Jaipur-Agra expressway was touted as “the most accident prone area” in Rajasthan in an episode on road safety in Satyamev Jayate. It should suffice to say, that Rajasthan isn’t particularly a place where you can drive carelessly. For that matter driving in any part of India is never a piece of cake, and so it is in Rajasthan where the roads are filled with all kinds of vehicles, carts, pedestrians and even livestock. The lure of going for a road trip to Rajasthan from Delhi was quite strong last month and thus we went for a week off. And as we have had heard a lot of scary driving encounters of our near ones who had visited Rajasthan in the past, we were extremely cautious while taking the road trip to Rajasthan. Planning to visit Rajasthan anytime soon? Read all about our road trip and planning tips. One of Harsh’s friends had warned him about being careful on the roads of Rajasthan as the local people do not usually abide by the traffic rules. He told Harsh that once he was driving on the National Highway 8 which connects Delhi and Rajasthan, he ended up hitting a buffalo as it came suddenly in front of the car. He was driving Mahindra XUV 500 and due to relatively powerful breaks, he was able to manage to save himself in the mishap. Even my father had shared his experience of driving in Rajasthan – how he saved the car from thrashing into a kid who was rushing through one corner of the road to the other in haste. So, we were prepared for all such action sequences, way before embarking on our journey. Obviously not much to our surprise, we found a fair number of stray cows sitting in the middle of roads, mostly highway, to be disturbed by the vehicles passing by. I wondered why they sat in the mid of the highways, and one of our friends had an answer for this as well. Okay, so they do so in order to hush off the flies that disturb them. This way they do not have to wag their tails to get rid of the flies. In short, comfort assured. 😀 Oh, and for the travelers, awesome “Indian Dividers”. The bursting roads of Jaipur, for instance, made it really difficult to navigate at first. However, with little patience and observation, it became much easier. Not just “cows”, you can also find shepherds confidently moving on the wrong side with a herd of sheep, horses, and even camels. All this makes for funny sight for a while, but after some time, this seems like more of a pattern and less of an unintentional mistake. Apart from slowing the traffic, this also results in an increase in the number of accidents. And imagine during night – with the visibility being low – number of fatalities is bound to be higher. It’s not just with the cattle, horses or camels that the pattern of wrong side walking can be encountered, even the local people drive on the wrong side with much ease. Accepted – the roads are pretty wide, most of the traffic can be adjusted quite easily so much that even during the high rush hours, you won’t encounter any traffic jams. But does this make it any less frightening for a person to be driving on the wrong side just to save a few minutes. Traffic rules are meant to be followed and a highway is definitely not the right place to be putting your daredevil stunts into action. Another major problem I faced with the driving sense of people in Rajasthan was their habit of constant honking until and unless you give them a side to pass. The loud, multi-toned horns which created shilling sounds were more disappointing than alarming to our ears. Other than that, unnecessary overtaking is a common sight, so instead of getting in an unneeded race, give the ones in haste, a side. Never forget to abide by traffic rules and always wear your seatbelt while driving. Always stay alert while driving because in India there are no separate lanes for different kinds of vehicles and there is frequent overtaking. A distraction is not at all feasible. Avoid using your gadgets while driving. Always drive defensively. If stuck in traffic don’t get impatient. Follow the flow of traffic, turn the indicators on before merging into lanes and keep a safe distance from other vehicles. Make sure that you avoid driving during peak hours when the traffic is immense. Avoid driving late at night also, as it is quite common to find drunk drivers on the road. When driving on the highway, always carry your valid documents, a puncture kit and copy of road helpline numbers or service center numbers in case of a serious car breakdown. Keep a safe following distance so as to give yourself a lot of stopping room and avoiding collisions. So now you know – when heading for a road trip to Rajasthan – it is best to stay alert all the time. Drive with all your senses open. Never indulge in reckless driving or shabby mockery of race car driving. It’s great to find posts about driving in other countries. It can be daunting to consider a road trip in a place you’re not familiar with, particularly a country so different from your own. Thanks for sharing this! We totally agree on this. Since we love road trips, we always prefer to rent a car and explore a country on our own. It is always good to be informed about the driving conditions in a particular country and not letting it be a surprise for us! It is very fortunate however that nobody was injured in that incident. Rajasthan continues to call to me, and I am sure I would be getting there by land rather than flying. I’m not really one for road trips, but this does seem like an epic adventure. I agree that you always need to give way to those pesky drivers that just want to take over. Patience really is key. Thx for the great post on Rajasthan. Looks like it would be interesting to visit, but I don’t know if I’d want to drive there! Really good tips to know. I’d probably leave the driving to someone else if I were to visit. Rajasthan sounds like a cool place to visit. I don’t think I would feel comfortable driving there but for sure we would hire a driver so that we could experience this road trip. Rajasthan is amazing, only had the chance to see Jaipur and in such limited time. I took the train to get in between J-D! 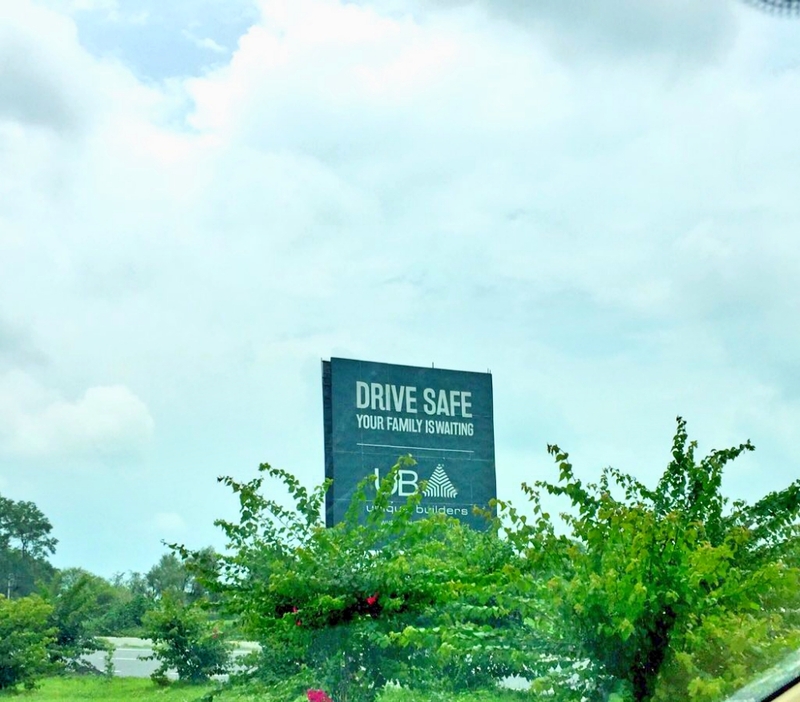 We returned from a Rajasthan road trip towards the fag end of 2016. it was a great experience of course, but yes, safety is of paramount importance. The sight of a few accidents on the highway only served to strengthen our belief in road safety.